Comparethemarket.com is running the first UK Premium Video Ad campaign on Facebook, to expand its recent activity around the baby Oleg character. 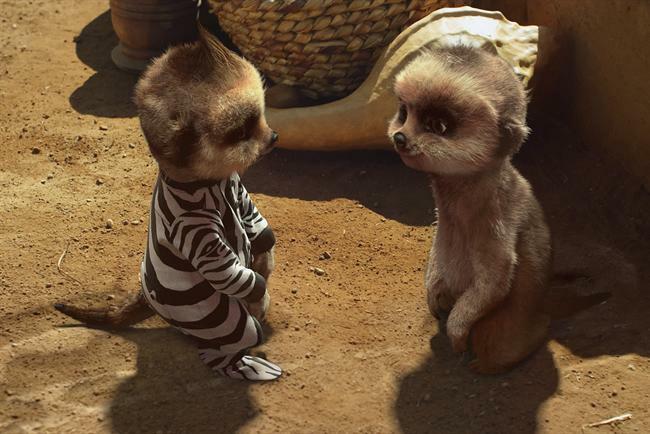 The comparison is using the format, which plays automatically in Facebook users’ news feeds, to expand on its story of the meerkats Aleksandr and Sergei taking Oleg on a trip to Africa. The "homeland" TV ad broke earlier this month. The campaign, which was created in conjunction with MEC, VCCP and Facebook’s Creative Shop, is expected to reach an initial 5.6 million people over the course of a 24-hour period. A carousel of content will appear on newsfeeds of people in the target 25- to 54-year-old age range, including bespoke 15-second idents created with Facebook Creative Shop, the 40-second TV ad and a montage of Oleg clips. Gareth Jones, the associate director, marketing planning, digital and direct at Comparethemarket.com, said: "Premium Video Ads is all about complementing the Africa story and more intimate story about Oleg. "It is part of our strategy of building engagement with the character that drives desire for the toys." Following the auto-play campaign, Comparethemarket will continue to use Facebook’s standard video format, which users have to click to play, to reach other users in the target demographic over the next two weeks. In a third phase Comparethemarket.com will then target people who have watched the ads or are known to be due to renew their insurance in September, using third party data. Facebook first announced it was trialing Premium Video Ads in the US through a partnership with WPP’s Mindshare in December 2013. The social network started selling the ads in the US and confirmed they were coming to the UK in March. Jones said: "We have been about six week in the planning in this with MEC, our new media agency we transitioned to at the beginning of July, and VCCP, our creative agency. "We have also worked collaboratively with the Creative Shop at Facebook, including Rob Newton [Facebook's head of EMEA global creative solutions] and Mark D’Arcy [the chief creative officer at Facebook Creative Shop], to make sure as well as being right for the brand, we were mindful of the recommendations that Facebook had." Will Facebook's new ad format get a 'Like' from users? Will Facebook's auto-play videos appeal to brands?